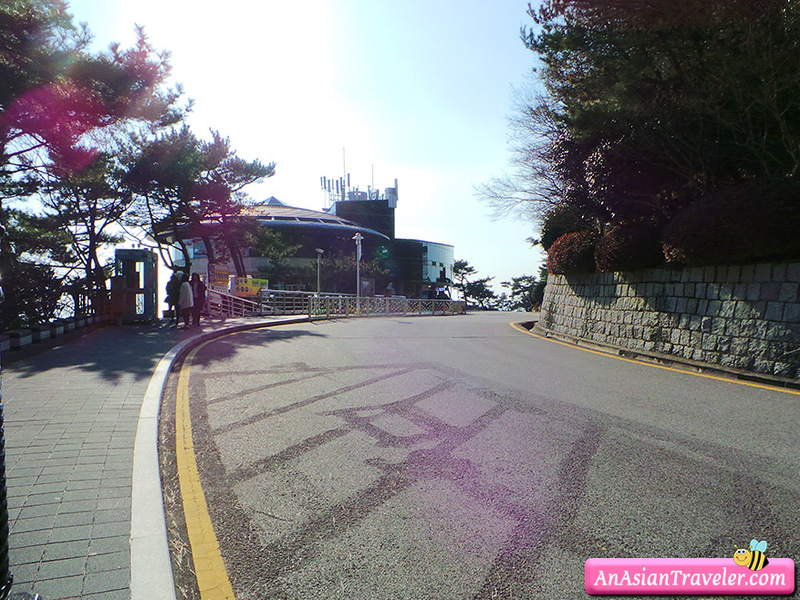 👫 The following morning we still had free time before our departure so we made up our mind to take another city tour bus and roam around the other side of Busan. 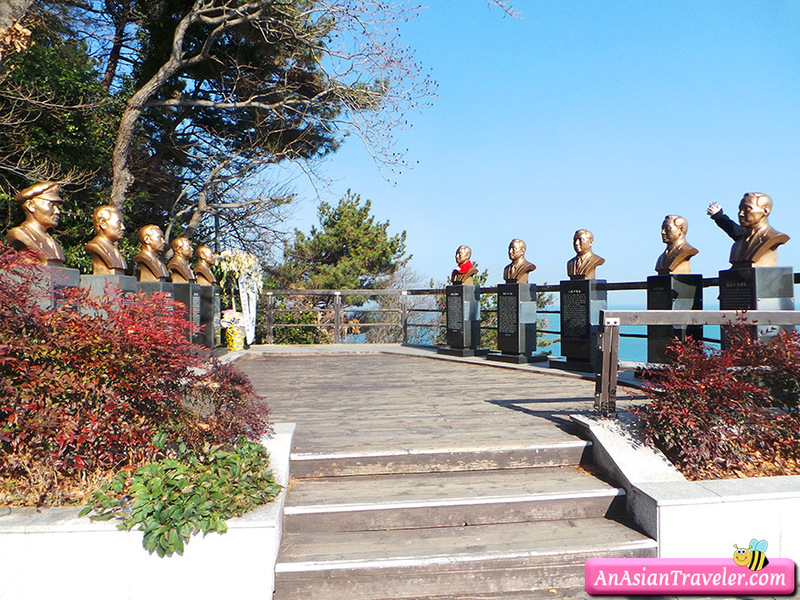 We took the Taejongdae Course going to Taejongdae Park, which is one of Busan key attractions. 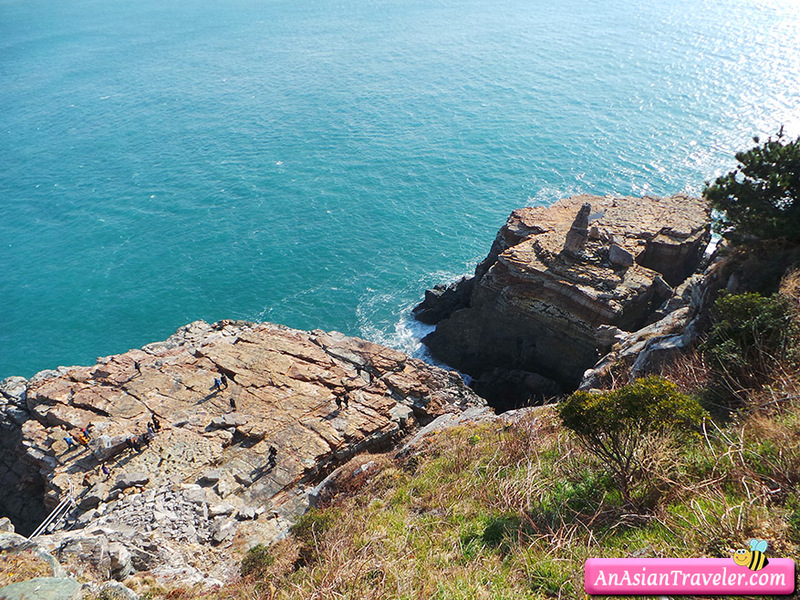 This is a huge park and the entrance to the lighthouse and rocky cliff is seemingly endless. 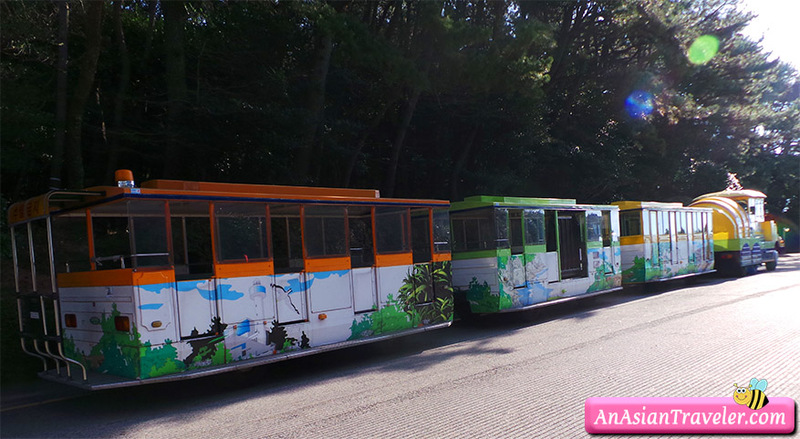 So we decided to take the mini "Danubi Train" to get us to the place. 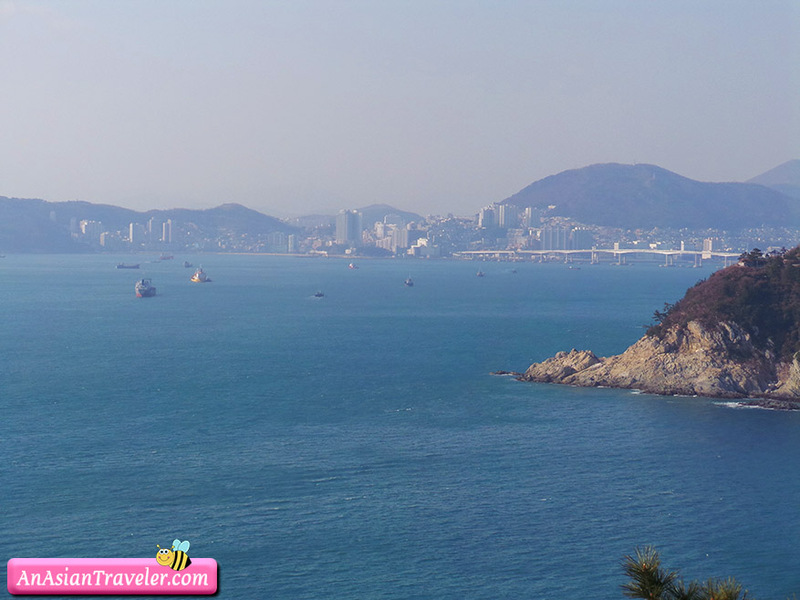 Taejongade is one of the representative scenic sites (No.17) of Busan, with a unique beauty of a coastal erosion cliff, luxuriant forest, clear ocean, lighthouse and a variety of recreation facilities. 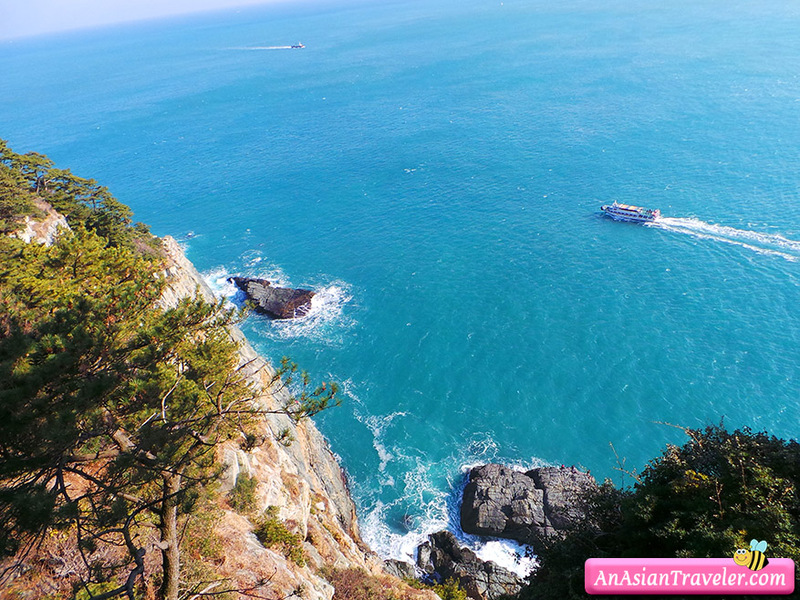 It is famous because Tsushima Islands of Japan can be seen on a clear day from here. 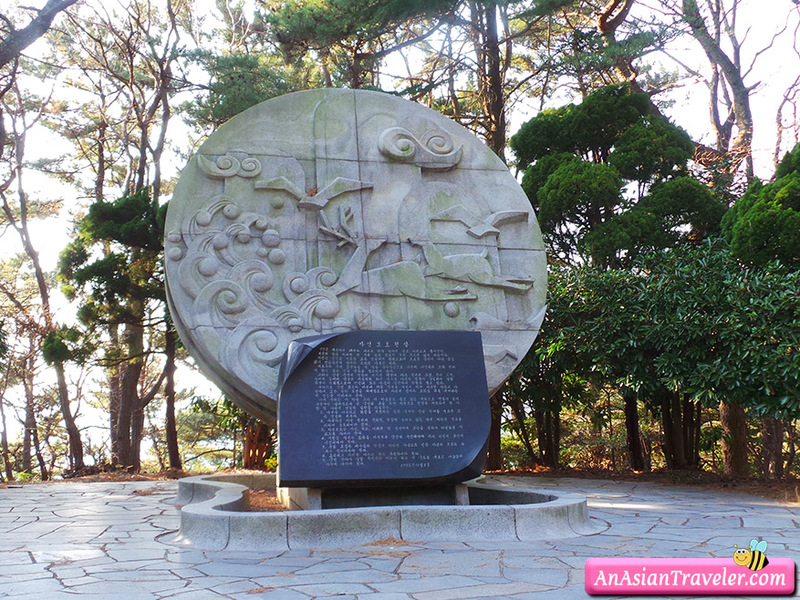 It is said that Taejongdae Park was used as a military fortified area during the Japanese Occupation, so entry was restricted to citizens, but in 1969 it was designated as a tourist spot and opened to the public. 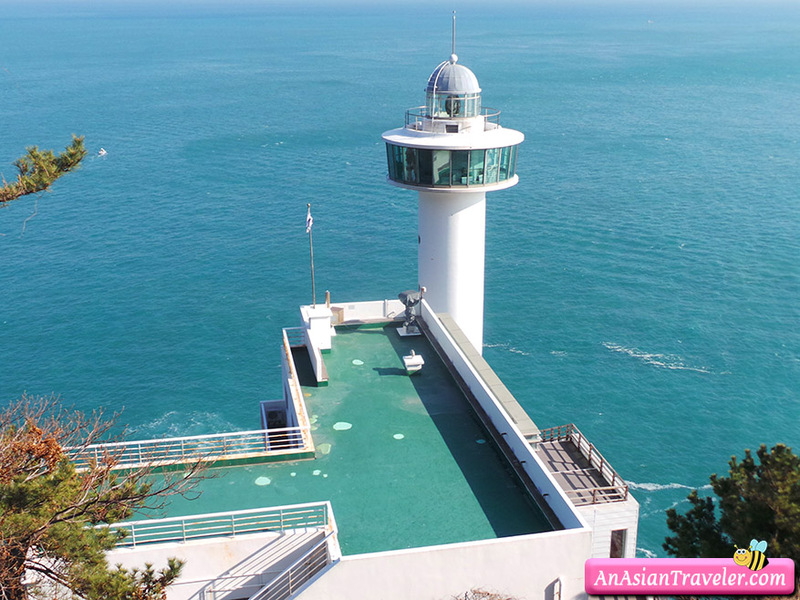 Yeongdo Lighthouse was established in 1906, but has been renovated in 2004 due to the deteriorated facilities. 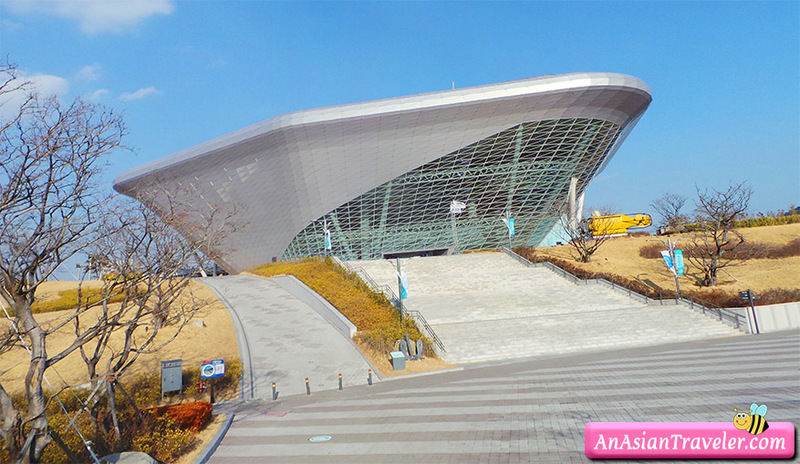 The newly established site (720m) consists of a lighthouse, an art gallery, and a gallery of natural history. 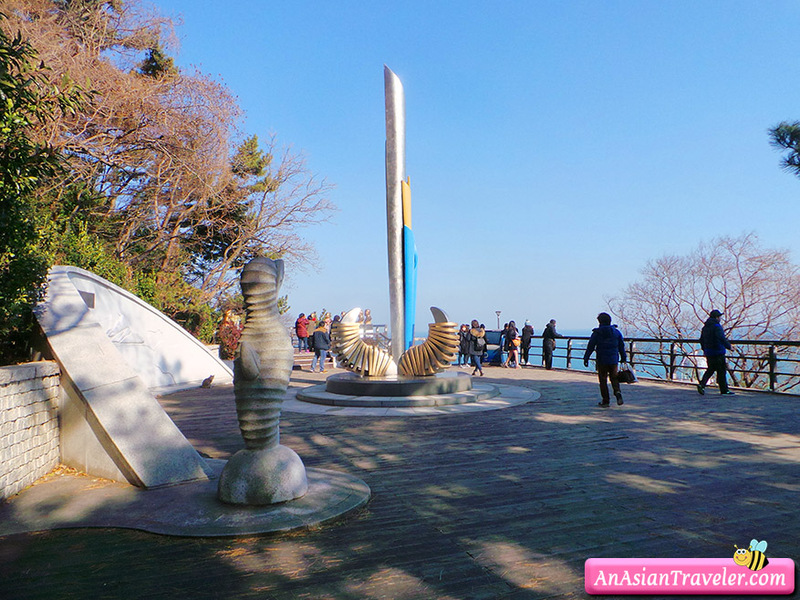 The white cylinder-shaped lighthouse is 35 meters high and its beam can be seen for about 40 kilometers. 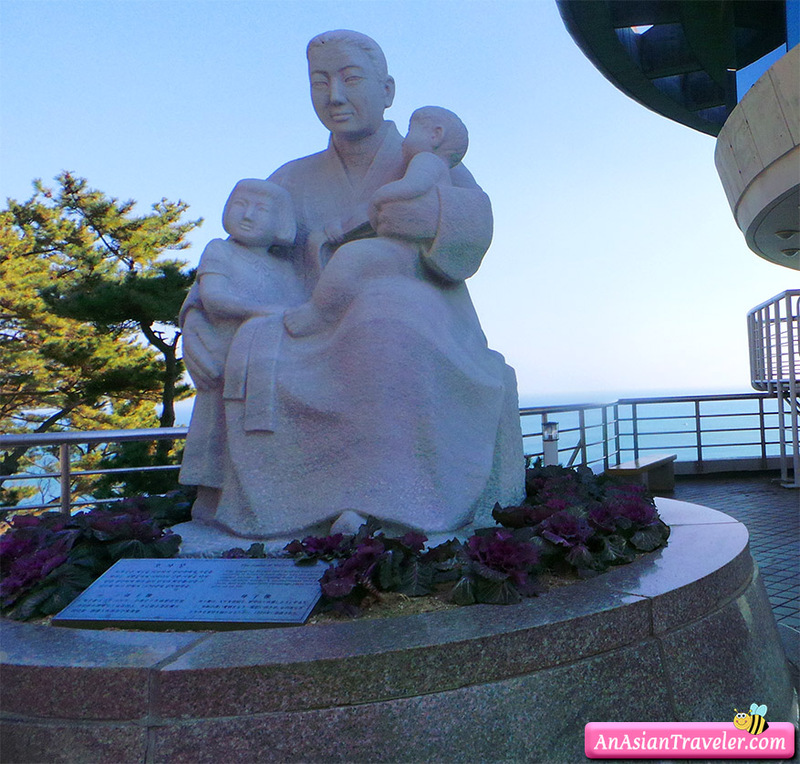 Yeongdo Lighthouse is Busan's first watched lighthouse and it is the 10th lighthouse in Korea. 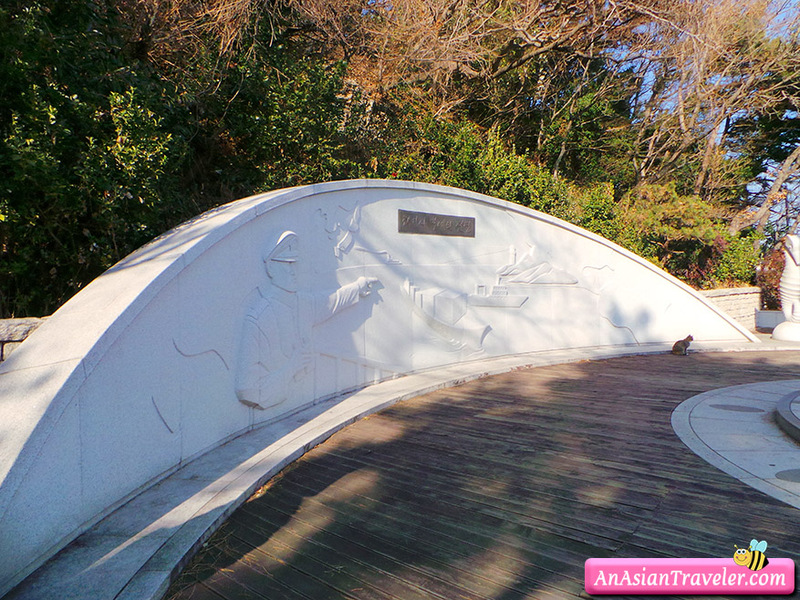 It is said that this place is filled with interesting legends and stories, and one of them is the Mojasang (Mother and Son Statue) located at the entrance of the Taejongdae Park Observatory, which resembles a mother holding two children in her arms. It embraces the meaning of appreciating lives by being reminded of the mother's love. This stone statue tells a painful story. In the past, many people committed suicide here, so at one time, the broad rock beneath the Observatory was referred to as "Suicide Rock". But, after the "Mojasang" was installed, miraculously the suicidal rate significantly reduced in reality. Going back instead of taking the Danubi train, we opted to walk with amazing view all to ourselves and nothing but the sounds of nature. I was surprised that majority of visitors take the train rather than walk. 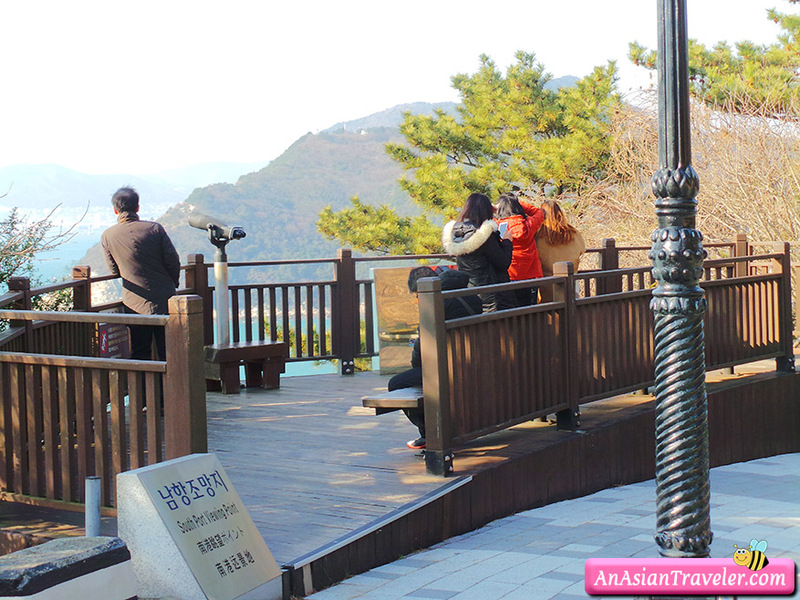 It's a bit far from the entrance but they're missing out on a wonderful experience that doesn't require much energy especially on a cold weather. 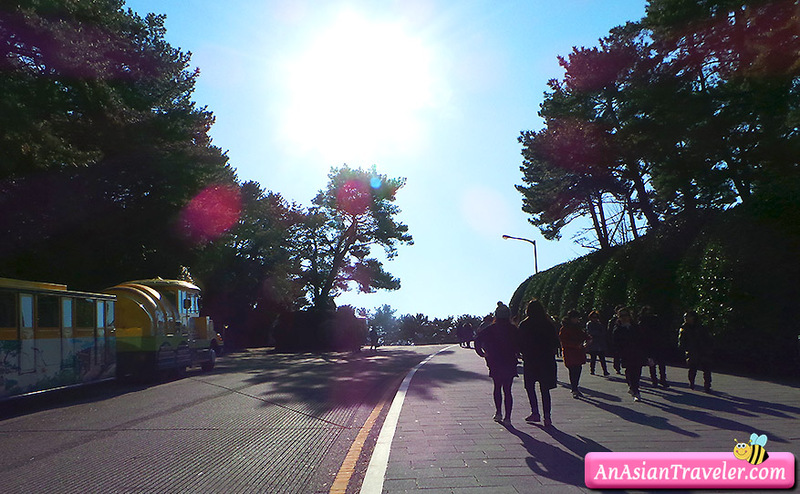 Our visit to Seoul and Busan came to an end. The time flew by quickly and before we knew it, it was time to fly back to Manila.